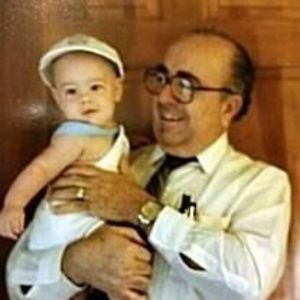 Carlos Tomas Rodriguez, MD, 90 of Longwood, passed away on January 10, 2018. Born in The province of Matanzas, Cuba on December 21, 1927 where he lived until the completion of his medical school studies at the Universidad de la Havana. Giving up everything he had in Cuba, he emigrated to the United States in the early 1950’s to pursue his passion of helping children as a pediatrician. Carlos was preceded in death by his parents Antonio and Josefa Rodriguez. He is survived by his beloved wife, Mercedes; his sons Carlos, Frank, Richard, and Michael; and his brother Tom. In addition, he is survived by his grandchildren Christopher, Andrew, Christina, Michael and Philip; and his great granddaughter Brielle.